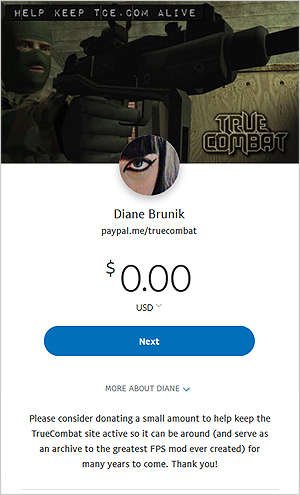 In tce.com's history, we have never asked for - or received - donations (although we have happily donated to TCE servers, etc. in the past to help keep the game alive). NOTE: Former TeamTerminator member, Law (he did Diane's "job" - and MUCH more - before he left TT more than a decade ago), is their CEO and Founder. Congrats to him on his well deserved success!